Nt8 Rods Are Identified By A Remarkable Recovery Kick In A Rod That Is Medium/Fast And Loads Deep And Precise, Generating Increasing Amounts Of Power As You Ask For It. While Still Maintaining Impressive Lifting Power For Sinking Lines, This Deeper, Yet Fast Type Of Action Will Work For A Wide Range Of Casts, Lines And Casting Styles. These Rods Have Not Only Tested As The Strongest Rods Guideline Has Ever Produced, But They Are Also The Lightest, Making Them A Joy To Use Along Rivers And Coastlines During Long, Intense Fishing Days. Rod Manufacturing Has Come A Long Way During The Last Few Years And We Find It Only Natural That The Premium Rods In Our Range Now Also Are Multi-Piece And Transportable In Your Luggage When Travelling. All Our Nt8 Rods, Including The Fario Models, Use An Ultra-Elastic Im8-46T Low Resin Material Which Makes It Possible To Create Feather-Light Blanks With A Crisp Feeling That Greatly Improves Sensitivity. Together With This, We Use A Carbon-Scrim Material With A Proprietary Bias Cross Construction Structure. This Produces A Lightning-Fast Recovery Speed, Increases The Casting Distance And Improves The Compression Strength. This Construction Also Excels In One Other Way.. You Will Definitely Be Amazed At The Ability These Rods Have To Fight And Overpower Fish With Little Force. High-Strength Nano-Resin Graphite Improves The Toughness And Increases Durability In The Rods. Casting And Fish-Fighting Cause Countless Amounts Of Flexing And Unloading Of The Blank, The Nano-Material Prevents Damage Due To External Shocks, Internal Stresses Or Fatigue. The Material Properties Implemented Into Our Nt8 Blanks Can Be Described With These Simple Words; Durability, Low Weight And Crispness. Grips Are In Highest Qualityportuguese Super Grade Cork With Rubber-Cork Reinforced Edges. Carbon Gray Blanks In Semi-Matte Satin Finish. Lightweight Titanium Coated Single Leg Guides. Aluminum Reel Seat Components With A Carbon Spacer That Simulates The Molecular Pattern Of The Nano-Reinforced Graphite Material In The Rods. 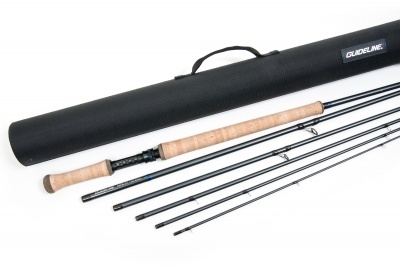 Nt8 Rods Are Delivered With A Lightweight, Cushioned Air-Mesh Bag In Strong And Light Polycarbonate Tubes.